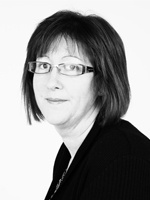 If you have any queries with your rent or our fees, Fiona will help you. Fiona deals with all accounting for the company and runs a very tight ship with a hard earned average of less than 1% (regularly 0%) rent arrears at all times. "I am a huge fan of rugby, supporting my home team South Africa. With a great love for the outdoors and "sun" (think I moved to the wrong country!) I enjoy the traditional South African braai (bbq) and socialising with friends".